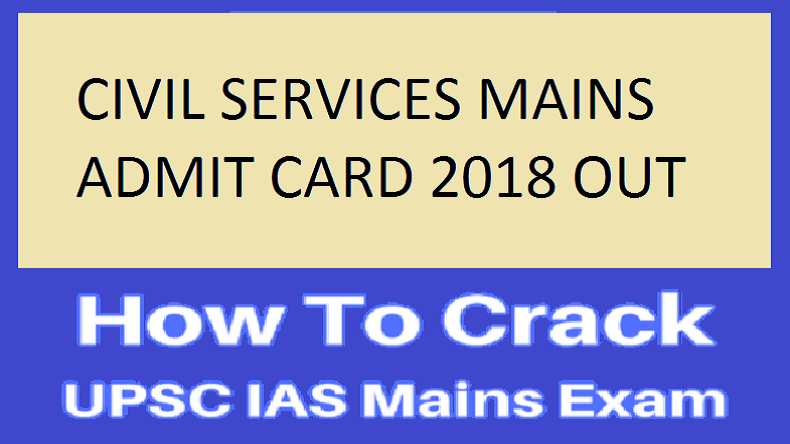 UPSC Civil Services Mains 2018 Admit cards have been released on the official website of UPSC and candidates should start preparing for the exam with full dedication. And to help attain the confidence and focus for the upcoming examination, here are some of the best study tips to crack UPSC Civil Services, one of the most competitive examinations of India. How to crack IAS 2018? UPSC Civil Services Main 2018: UPSC has released the Admit Cards for upcoming UPSC Civil Services Mains 2018 exam which is going to be held by the Union Public Service Commission from September 28 till October 4, 2018, as per reports. This prestigious competitive exam is the gateway to becoming a top bureaucrat in the country’s biggest government organisations to work on policy-making as well as run the administration and every year lakhs of UPSC aspirants apply for the UPSC Civil Services Exam. This year, the UPSC Civil services preliminary examination result was declared on July 14, 2018, on the official websites, upscgov.in, upsconline.nic.in. And those who have cleared the prelims will be appearing for the mains on September 28, 2018. Candidates can download their UPSC Civil Services main 2018 admit cards by logging into the website – upsc.gov.in. Candidates should focus on Ethics Case Study. Making a deep connection with the society is necessary as it will help track issues in our day-to-day lives and you will face challenges plaguing the society from which you can find better genuine solutions. This will help in case studies. Be realistic and do not set overambitious goals during your preparation. As failing to complete these goals will bring your confidence level down and it might also lead to stress.